When it comes to expansive Batman and Lego creations, most of us are content to stick to the video game offerings. 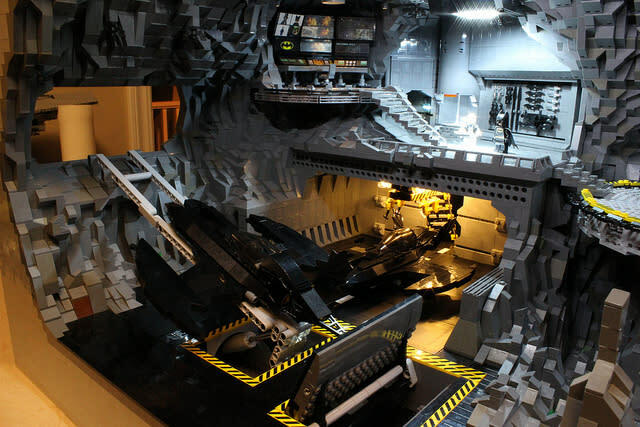 But Carlyle Livingston II and Wayne Hussey have taken things a giant leap forward, creating a spectacular replica of the Batcave using more than 20,000 individual Lego pieces. The pair debuted the creation at the 2012 Emerald City Comicon. They uploaded several dozen photos and three videos to Flickr detailing the construction of the cave, home to the comic-book character Batman. In the photos you can also see some of their other creations, including several "Star Wars"-themed spaceships. The Brothers Brick site notes that it took Livingston and Hussey more than 800 hours to assemble the 20,000 pieces, with the final model weighing more than 100 pounds. 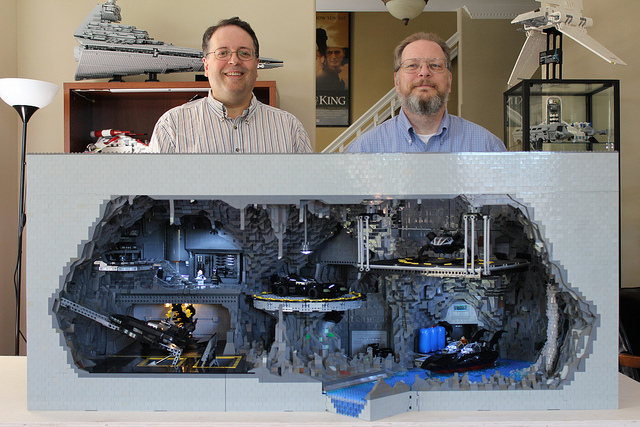 Their Batcave even comes with its own lighting and a rotating turntable at the center of the cave. The Laughing Squid site notes that a single battery powers the entire Lego Batcave, wired to several different lighting sources, including Christmas and flash lights.